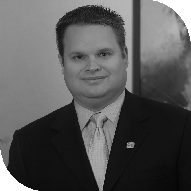 Serving the Grandville area, Dennis provides the personalized investment guidance you need to help make your financial goals a reality. Using a personalized, one-on-one approach, Dennis works closely with you to develop an investment plan that works for your unique objectives. My wife and I have lived in the Grand Rapids area for over 15 years. With our free time, we enjoy raising our two Jack Russell Terriers, traveling, and restoring vintage muscle cars. My personal commitment is to provide clients with customized services to help them meet their financial goals. After working with clients to identify and define their goals and needs, I develop strategies to help them meet their objectives. I meet with my clients periodically to make adjustments to their portfolios and re-define their needs as necessary to help keep them on track to achieve their long-term goals. I have been in the Financial Services Industry since 1994. With Fifth Third Securities, your plans and aspirations are in the hands of seasoned financial professionals focused on serving you. We are committed to providing you personalized, comprehensive financial services designed to preserve and grow your assets1, protect your family, and allow you to create the lifestyle you want. The Financial Market Roundup provides a monthly snapshot of the month's notable financial, political, and market events. The Bigger Picture keeps you informed with timely and relevant articles focused on markets, investing, and personal finance. Visit Broker Check to learn more about your broker, financial advisor and Fifth Third Securities. Fifth Third Securities is the trade name used by Fifth Third Securities, Inc., member FINRA/SIPC, a wholly owned subsidiary of Fifth Third Bank, a registered broker-dealer, and a registered investment advisor registered with the U.S. Securities and Exchange Commission (SEC). Registration does not imply a certain level of skill or training.